Hey everyone! Sorry if this blog has been a wee bit empty lately. Contrary to popular belief, I'm not dead. I've just been busy with a multitude of projects including: writing The Wicked Dead, rebranding The Tome of Bill, launching a new pen name, and putting together several new episodes of Tales of a Midlist Author. 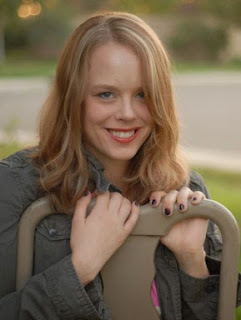 However, even the most crazed workaholic needs to come up for air every once in a while, and thankfully my fellow Westmarch author Melissa F. Olson popped by to give me a good reason. Not only is she a talented writer and purveyor of witty repartee (seriously, check her out on Twitter if you don't believe me), but her new book has been absolutely tearing up the charts over on Amazon. I'm happy to host her as she launches Boundary Crossed in two new formats and offers up some cool swag in the process. Take it away, Melissa! Thank you so much to Rick Gualtieri for being part of this multi-webpage blog blast. If you’ve already heard of me and my books, you can scroll down to go straight to the contest entry. Otherwise, please let me introduce myself. My name is Melissa F. Olson, and I mostly write urban fantasy novels, which are stories about the intersection of two worlds: the real one that we live in and a world that involves something supernatural: fairies, vampires, werewolves, mutant killer hedgehogs, or all of the above. 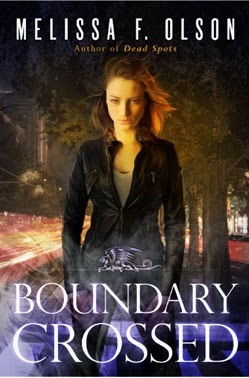 My new novel Boundary Crossed is about a young woman, Lex, trying to protect her baby niece from bad guys who have discovered that the baby has serious value on the supernatural black market. Lex is determined to keep her safe, but unfortunately she dies at the end of the first chapter. No, seriously. She dies. But then she gets better, because it turns out that there’s more to Lex than she ever knew. She needs to figure out why she’s still alive and what the bad guys want with her niece, and she’s going to need a lot of help to do it. The book has been available all month as a Kindle First deal on Amazon, but it comes out in paperback and audiobook for the first time today. To celebrate this release, I’m giving away signed books, a $20 Amazon gift card, and some killer swag. (That’s a metaphor; the swag will not hurt you.) To enter, just click on the link below to go to my website and enter up to four times for the four prizes. Thanks for reading!